Our series of category forecasts continues. 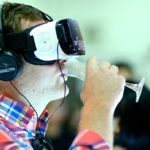 After Chris Losh shared his wine predictions last week, here’s Stephen Beaumont to tell us how he sees the beer sector shaping up in 2017. 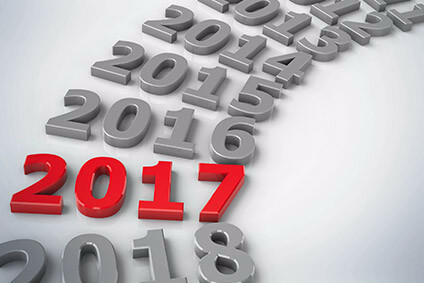 As we enter 2017, uncertainties abound, from Brexit to the president-elect of the US, to conflicts and potential conflicts the world over and, in much less dramatic terms, the future of an increasingly consolidated – at the top end – and simultaneously almost revolutionarily-diverse – at the bottom end – global beer market. 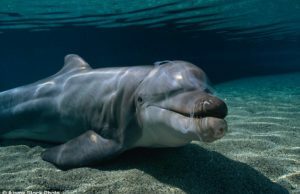 Nevertheless, some developments appear more likely than do others. 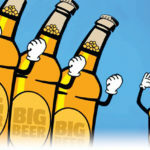 With the Anheuser-Busch InBev purchase of SABMiller now all wrapped up, the question arises of where the new beer colossus will be primarily focusing its gaze. The bets are that it will be on Russia, China and, perhaps most of all, Africa, a massive and still developing beer market that was the main reason for the SAB acquisition. Analysts are already looking closely at ABI’s present and possible future in these markets, with Deutsche Bank recently questioning the company’s approach to Africa, which the bank’s analysts see as more a single-country strategy than one which embraces and engages disparate countries united by geography. If the industry giant falters at all in the African market, expect to find Diageo, Heineken and Castel waiting anxiously in the wings, keen to poach market share on the continent. 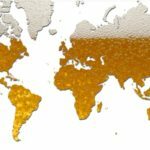 While Japanese brewer Asahi was the dominant Asian player in 2016 acquisitions, with its purchase of first Peroni Nastro Azzuro and Grolsch from post-merger ABI and then that same company’s packet of central and eastern European assets, it’s unlikely they will be continent’s last beer M&A player. Kirin and Sapporo are both likely to be on the watch for available breweries outside of their stagnant home market, and it seems highly probably that other Asian players may be looking to follow suit. Most likely to go shopping is China Resources Beer, which will be emboldened by the out-of-country investment efforts of other Chinese industrial powerhouses and encouraged by the combination of a tightening of revenues for its lead brand, Snow, and the broadening of the market for premium beers in China. Fellow Chinese giant Tsingtao could also find itself in suitor mode for largely the same reasons. 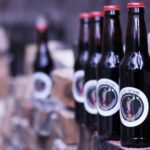 Probably the easiest prediction for the year ahead is that craft beer will continue its surge, more slowly in established beer nations like the US and UK – double-digit growth in generally low- or no-growth marketplaces is only sustainable for so long – but more rapidly in up-and-coming markets like Italy, Spain and France. Perhaps most interesting to watch, however, will be craft’s progress in such massive beer markets as Brazil, Russia and China. 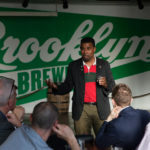 Small and independent breweries already have at least a toe-hold in each, more so in Brazil and than in Russia and China, but the room for growth in each is as enormous as it was in the 1980s in North America, and with many of the same domestic market factors present. 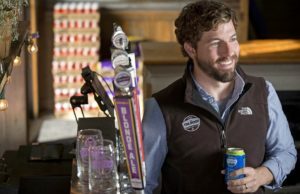 Where craft brewing has already developed to more-or-less maturity, in markets such as the US, Canada, the UK and most of Scandinavia, it has done so largely as one big, happy family, with collaboration beers commonplace and a general sense that all brewers are fighting for a common cause. As the largest of the existing craft breweries grow larger still, opening new breweries and expanding distribution, expect some of this ‘warm and fuzzy’ feeling to go the way of lightly hopped American IPAs. 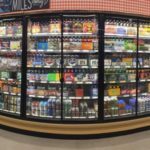 Already, reports of tough competition for draught taps and shelf space among craft breweries are becoming commonplace, and some subtle – and not-so-subtle – criticism of brewery tactics by their peers is emerging. In 2017, expect this to blossom into a more overt competitive environment, with the ‘drink local’ crowd still having an edge over the interlopers, but calls for quality and consistency over regionality growing more frequent. After years of odd fermentations, curious ingredients and the employment of barrels of all sorts for conditioning, brewers in 2017 are likely to begin heading back to their roots for inspiration. 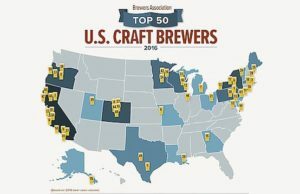 Craft brewers in North America in particular have already started along this road, with increasing releases of golden ales, pilsners and basic pale ales. Other more elemental and historical styles are almost sure to follow. At the same time, brewers in Europe are beginning to rediscover their own roots, with a nascent resurgence of the Berliner weisse occurring in Berlin and a much wider embracing in Czech of svetlý ležák; what the rest of the world would call pilsner, but which to Czechs speaks more specifically to their national brewing traditions. Further, new ‘traditions’ are cropping up in countries without storied beer histories, like the ‘Italian grape ale’, or wine-influenced beer, in Italy and Amazonian fruit- and wood-influenced beers in Brazil. Expect all of these to grow significantly in popularity over the course of the coming year.